Teddy gets a feel for what motherhood may look like when she spends the day at Meredith's house helping her bake cookies. 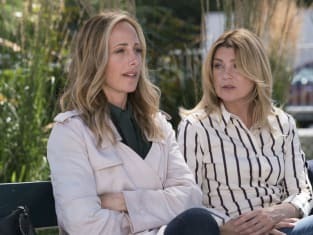 Grey's Anatomy Season 15 Episode 5: "Everyday Angel"
Amelia: So, do you want to say the Serenity prayer before you go in? OK, don't do drugs. Owen: Have a nice day at school! Permalink: Have a nice day at school! 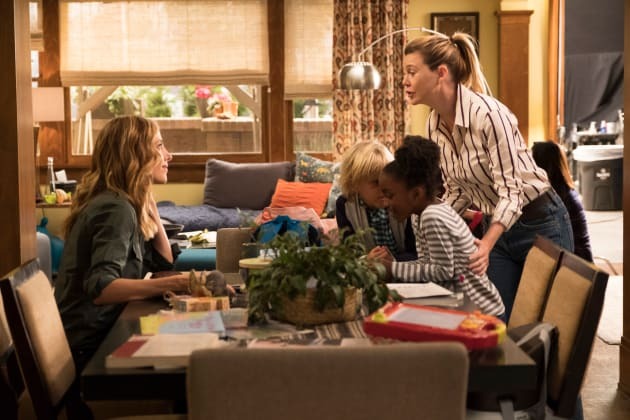 Grey's Anatomy Round Table: The Best Version of Amelia!